The match played between Mumbai Indians and Sunrisers Hyderabad did not come up with the expected results and to everyone's surprise, Kane Williamson's brigade belittled Rohit Sharma's army and ensured a second win for themselves in the ongoing IPL season. Sunrisers Hyderabad took a major blow after their originally appointed captain David Warner was found involved in the ball-tampering case. However, SRH were quick replacing their skipper with Kane Williamson. The New Zealand skipper has been proving himself well suited for the job by winning two of the very first two matches. Mumbai has the arguably the best bench strength when it comes to one to one player comparison. Rohit Sharma's team has won the IPL title thrice that has not been matched by any other team till date. Moreover, Mumbai has specialist death bowlers like Jasprit Bumrah in its squad who can stall the score of the opposite team in final overs. However, they have not been able to translate their bench strengths into wins. In a match, mostly, only one team wins the match but it often happens that team may win the hearts of the people with its performance and those are the special moments. IPL has been known to have improved the fielding performance of all teams in the world cricket. 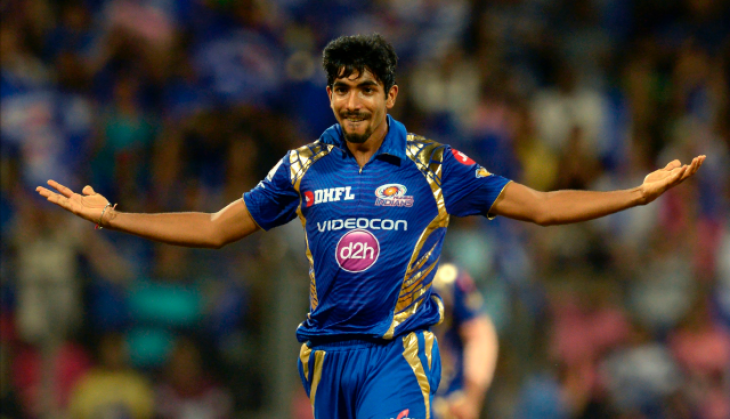 And Jasprit Bumrah just proved it true with his catch in the match played against Sunrisers Hyderabad.